Once a month, National Sawdust puts on “The Revolution,” a performance series showcasing Brooklyn & Harlem artists as a means of empowering and invigorating the local music and arts scene. Each month, three innovative and emerging artists from different genres get to showcase and share their work in a space that fosters connection, healing, and revolution. Sponsored by the Deli, Revolution Vol. 33 will take this place this upcoming Saturday featuring Addison Frei, Ryan Peter Scott, and Samira Gibson. Based out of New York by way of South Carolina, Samira Gibson taps into a haunting groove in her experimental neo-soul. Wielding her rich, powerful vocals like a knife, Gibson cuts through the noise and lets her words shine in her latest release, “Mona Lisa Remix.” The young singer has an impressive repertoire, having performed background vocals for heavyweights like Mary J Blige, Vic Mensa, and Elle Varner. Ryan Peter Scott looks for answers to life’s greatest conundrums in his particular style of smokey, guitar-based blues. His introspections are highlighted on his latest record, Smoke & Licorice, which focuses on the journey of a young man searching for his own voice and autonomy. In a blend of funk, jazz, avant garde, and 70s rock, Scott creates a sound that feels familiar but innovative, as he flexes his prodigious guitar skills in his music. Pianist, composer, and producer Addison Frei writes socially conscious and compositionally complex neo-jazz. He’s currently studying at Julliard, and working on a digital EP called Future Speak that explores today’s political climate through spoken verse, acoustic improvisation, and components of electronica amongst his piano compositions. 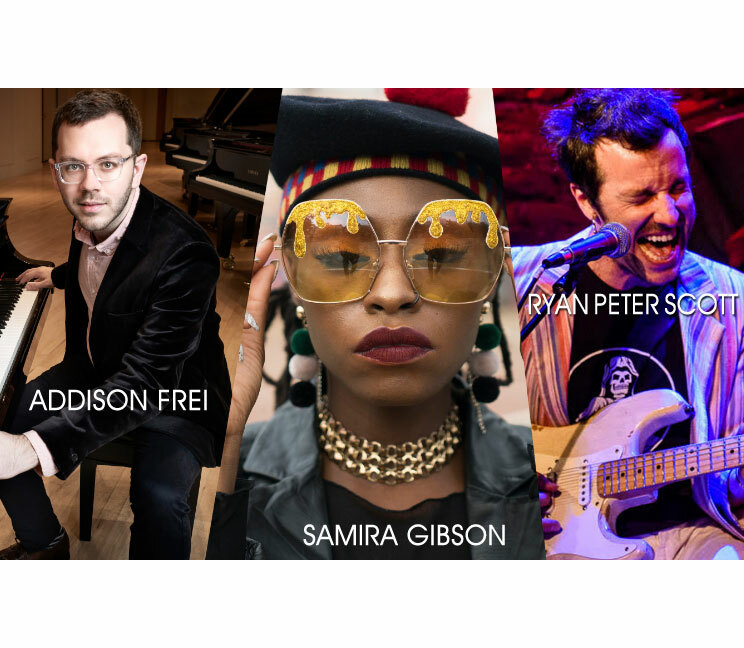 Catch these three acts this Saturday at National Sawdust. Tickets and info can be found here.